An illustration about the 3D movies of 2012. Out of all the one's featured here I'd have to say Wreck it Ralph was my favorite. What was yours? 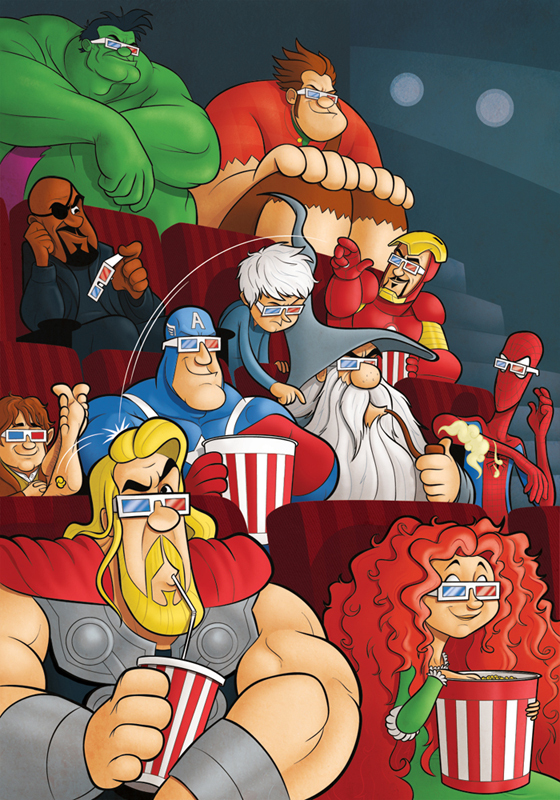 Just lovin' Nick Fury's expression at not being able to enjoy 3D, him being partially ocularly challenged and all. Great work!